Ballyheane 2 Killala 2 was the score at the end of normal time at Solar 21 Park tonight .Raymond Murphy had twice leveled the game against opposition from 2 leagues above our lads . In fairness it was probably a fair reflection of the game , a good solid cup final with both teams missing chances and making mistakes . Tommy and Michael had all their 14 players in the mix at some stage of the game , the extra time of ten minutes failed to separate the two sides but it was our …lads who went closest with two good Gavin Walsh efforts , then the real drama of the night started , after the first 5 penalties , both teams were again locked at 4-4 . Then the sudden death commenced 14 more penalties were taken by each side until finally Ballyheane emerged as the winners , in those 14 penalties though Killala keeper Patrick Murphy saved SIX times to give his team a chance to win it but on each occasion the opposition keeper made sure his team were kept in it . What a night , what a fantastic bunch of young lads , they will see many more good days . Everyone was a winner tonight . Derby delight tonight in Kilmurry for the U17s. A 7 goal thriller where Killala came out on top after going behind twice in the game. Goals from James Gilvarry, Liam Óg Barrett, Sean McKeon and Finn Lacey. Final score 4-3. Thursday 19th U19 Men away to KKUtd 7pm KO . leaving 5.15 from the club house…. Congrats to Ben Stowe on his international call up. Ben who is s member of our U15/16 squad and a member of the Mayo Kennedy Cup panel has been called to attend the Irish U15 future developers squad in Dublin next week . Congratulations to Ben , his parents and his coaches we are very proud of him . Good luck lad. The season kicks off in earnest next weekend with the U13 Boys away to Clarmorris on Friday , U14 Girls home to Snugboro on Saturday , on Sunday the men are in action at Courthouse St where they entertain Partry Athletic and Partry return again on Monday night to play our U17 boys, and to finish off a hectic schedule the U15 boys play Ballyheane on Wednesday , also at Courthouse St. The mens team play Superleague team Charlestown Athletic Football Club away this Saturday with a 5pm KO as they continue their preparations for the new season. players to meet at Killala pitch at 3.45pm . This weekend will see our ladies back in action when they face last years champions Manulla in Courthouse St at 12 noon. Come along and give dave and the girls your support. Mens team kick off the first of a trio of preseason friendlies when they face Crossmolina AFC in Abbeytown this Saturday 21st at 4.30pm. 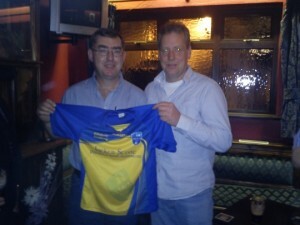 good luck to Paul and the lads for the new season and Crossmolina AFC . Registration day is Saturday 14th March 2pm to 4pm at the club house . New mens team manager starts this Sunday 1st March , we would like to welcome Paul Large to the club and wish him and his squad all the best for the 2015 season.All players are asked to be in at Courthouse St by 11.45 am please. New players welcome. Well done to Marc Mc Donel, Kevin Whyte and David Cadden who completed their FAI Senior intro coaching badge at Milebush Park Castlebar , today. 3 more coaches at the club and a further step in our commitment to coach education at Killlala FC. Every one at the club would like to wish Pete McDonnell all the best on his move to the USA to further his coaching career. He was 24 years as a player but it was in his role as a coach over the past 2 seasons that he made such a huge difference to the players he dealt with , they will all miss him . So Bonvoyage to Pete and Baylee on Wednesday , call in to see us when you are ever at home. Killala FC U-16 girls are Connacht Champions! Fantastic performance from our girls and our opponents Ballinrobe Town Afc. Great game with three cracking goals! Let the celebrations begin! Browne 3 from Kyle McLoughlin and one from Shane McAndrew giving them victory over Casrlebar Town. Saturday Men’s team away to Urlaur Utd (cup ) 6.30pmko. Busy week , good luck to them all . Killala FC are actively looking for volunteer coaches/game assistants for the upcoming season on both the boys and the girls side. If you are or know of anyone who might be interested, please send me a message on this or give me a call. Huge support with training content is in place for all coaches and game assistants and there never has been a more enjoyable time to get involved! The “Boys to Barca” fundraising committee are having a night out in the Arch Bar Killala on Saturday 29th March. Music , food, raffles & Spot prizes , come along and support the lads and enjoy a good night out in the process . This day next week (Friday 14th March), Ciara McDonnell will be launching our Killala FC Girls Easter Camp, visiting local schools with forms and posters to spread the word! Like previous years, the all-girls camp will run for 3 days from Tuesday April 22nd – Thursday April 24th (the second week of school holidays)! Looking forward to seeing everyone again this year for another fun week! — with Ciara McDonnell and Elaine Lowther. Well done to Killala FC U 16 player Aaron OBoyle who played a big part in the Castlebar Fai Emerging talent squad 2-0 win over the Galway Fai EMT at Fahys Field Mervue Galway tonight. keep it up Aaron. There will be one more round of MNF before the Christmas break. The Village Inn sponsored Monday night football kicked off tonight with most of the usual suspects back on board.The holders Farcelona had a narrow win over a tricky Jammy Dodgers side beating them 1-0 . The AA boys beat Deel Rovers 6-4 while the Seasiders beat last years runners up the Killala Galacticos 3-1. Fixtures for Week 1 of The Village Inn MNF tournament. 8:00 Seasiders V GalacticosSlightly different format from last year, with the 6 teams playing each other once. At the end of the round, 1st place will play 4th and 2nd place will play 3rd in the knockouts. The same rules apply from last year and can be seen on the website killalafc.ie. 12 players can be named on each squad and captains must fill out the team sheet tomorrow upon arrival. 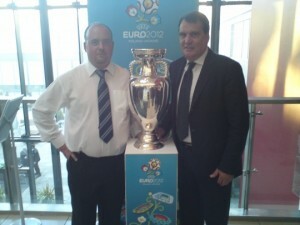 Some very good teams in this year so we expect and exciting and competitive tournament. Best of luck to all the teams. Just finished in Achill and the U12 boys return home with all 3 points after a convincing 9-3 win .Hatricks from Sean mcKeon and Mathew Langdon Long a brace from Rónán Loftus and a first goal for Andrew Newcome . 11th July U14 Girls home to Kilmore 7 pm KO. 14th July Mens Team away to Bangor Hibs 2:30 pm KO. 16th July U12 Girls home to Straid & Foxford 7 pm KO. 17th July u14 Boys home to Fahy Rovers 7 pm KO. 19th July U12 Boys home to Ballina Town B 7 pm KO. 20th June U14 Girls home to Manulla 7 pm KO. 21st June U13 Boys home to Greenway Utd 7 pm KO. 22nd June U17 Boys home to Castlebar Town 2 pm KO. 11th June U12 Girls home to Ballinrobe 7 pm KO. 11th June U13 Boys home to Manulla C 7:45 pm KO. 15th June U17 Boys home to Moyvilla 2 pm KO. 16th June Mens Team away to Westport B 2:30 pm KO. 18th June U12 Girls home to Kilmore 7pm KO. 30th May U14 Girls home to Castlebar Town 7 pm KO. 31st May U13 Boys home to Sungboro 7 pm KO. 2nd June Mens team away to Swinford 2:30pm KO. 5th June U15 Boys home to Glenhest Rovers 7 pm KO. 18th May U12 Girls home to Kiltimagh/Knock 1 pm KO. 18th May Mens Team away to Kilmore 7 pm KO. 21st May U12 Girls home to Claremorris 7 pm KO. 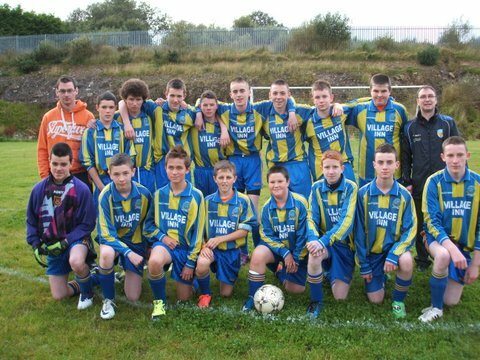 22nd May U15 Boys home to Claremorris B 7pm KO. 10th May U13 Boys Home to Ballyglass 7 pm KO. 4th May U15 Boys away to Achill Rovers 2 pm KO. bus departs at 12:00pm. 6th May U17 Boys home to Bangor Hibs 7 pm KO. 29th April U17 Boys home to Moyvilla 6:30 pm KO. fixture change on Sunday. friendly match is now against Conn Rangers in Killala with a 12 o’clock KO. All players be at the clubhouse by 11am. Mens team continue their pre season work with a friendly in Attymas on Sunday morning against last seasons league winners Moy Villa FC . its a 12 noon KO and all players are asked to assemble at the clubhouse in Courthouse St at 10.15am. First pre season friendly for the mens team takes place this Saturday at 5pm in Asahi Park. Charllestown Athletic are the visitors and the will be looking to give a new look Killala side a stern test. All players to be at the Courthouse st grounds by 4pm please. It is hoped that this offer will act as an early booking incentive as requests for the June games will have to be received by mid-May. If an adult books more than one child onto a camp, they will receive one adult ticket and a ticket for each child. If a parent books a MS Camp and a GK Camp, they will get an adult ticket and a child’s ticket for each camp. No extra tickets will be supplied with Extra Time bookings. This offer will be strictly limited to bookings made ONLINE & approx. 5,000 tickets are available for each game. This is a great offer – for €65 (or €50 in the case of GK camps) you get a Summer Soccer School place and tickets to a game. 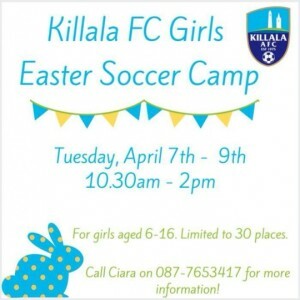 Girls Easter Camp at Courthouse St.
Killala FC Girls Easter Camp 2013 kicks off this April 2nd, 3rd and 4th! This year, we are opening the camp to girls ages 6-16 years old! Cost is €30 per person or €50 per Family of 2! The Killala AFC Awards Night is in The Village Inn on Saturday 2nd March with presentations commencing at 8.30pm sharp! 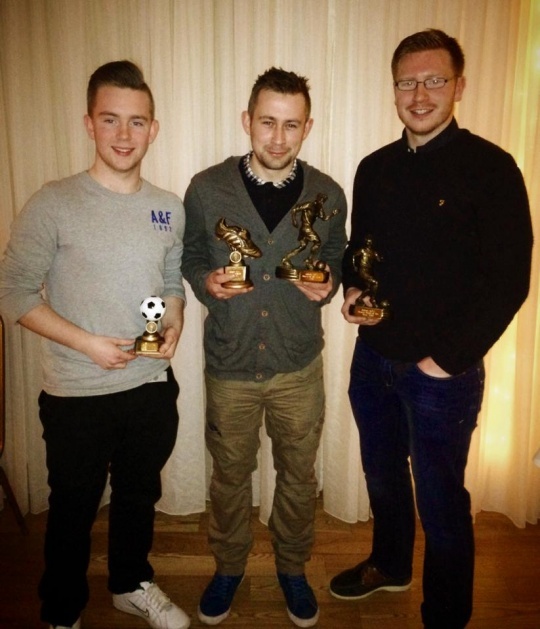 Let’s all celebrate the past year at Killala AFC while we look forward to the year ahead! Looking forward to seeing players, family and friends on the night! 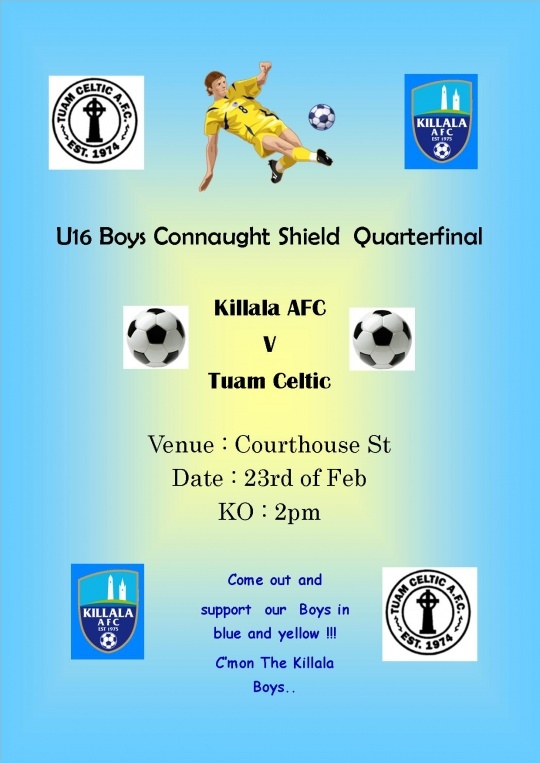 Killala AFC U16 boys hope to continue to feed there fast growing reputation as giant killers when they face Tuam Celtic this Sat the 23rd of Feb at home in the quater finals of the Connaught Shield, kick off is at 2pm and we hope that as many of you as possible will come out and give them your support, Best of luck to The lads, Aidan and the rest of the managment team from all at Killala AFC we are so proud of you already and know that you will all give your best on Saturday………Com’n the Killala boys !!!!!!!! Dont forget the AGM tomorrow night at 6pm . Everyone with an interest in the club please feel welcome to attend. This meeting has been moved to the Village Inn because we have put down new floors at the clubhouse and they are not fully finished to use. 8.30pm The MNF Final with a Spanish flair when Darren Walsh‘s Gallacticos take on the Marc Mc Donnell powered Farcelona should be a great final. Presentation afterwards in the Village Inn. Thanks to Aidan & Marie for sponsoring the tournament once again and to the Ref for all the games and to all the participating teams for making it such a success. All the finals will be played on the following Friday Night 18th Jan. 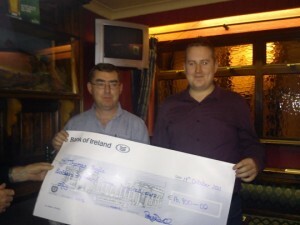 The Annual Tower Cup tournament wil take place this year on Friday 28th December at Courthouse St. It will be 8 a side competion and teams will be drawn this coming weekend. entry fee is €5 so put your name down now . Open to every one past . present and future soccer players or wanabee soccer players. Names to David Cadden 0868632082 Kevin Whyte0871237156 or email killalaafc@eircom.net before Saturday. Tonights games from the Village inn sponsored MNF threw up some interesting results which leave alot of teams delicately poised going into next weeks final round of group matches. 29th Oct U14 Girls v Castlebar Celtic in Milebush Park 12:30 pm KO, (Cup Final) bus departs at 10:30 am. A Lee Cummins goal gave the men’s team a 1-1 draw against Moy Villa at Courthouse St today. This result was enough to keep us in Premier B for next season while the point gained by Villa gave them the title. Congrats to all at Moy Villa Fc. It finished 6-2 in favour of the u12 boys at Courthouse St this afternoon.Goals from Fin Lacy (2) Patrick Mulhern(2) Alan Donnelly and James Gilvarry sealed a good win for the boys. Big big win for the men’s team against title chasing Charlestown Athletic. A Lee Cummins goal gave Killala the 3 valuable points and a lifeline in the relegation battle that now moves into next Sundays final game at Courthouse St. Which we have to win to wait up and Moyvilla need the points to clinch the title. The U12 boys remain in 2nd place in the table but keep the pressure on the leaders with a good 9-1 win at Courthouse St today. They moved to within a point of the top spot when goals by Ruiri O Boyle (3) Patrick Mulhern (2) Finn Lacey (2) Alan Donnelly (1) and Tommie Loftus (1) gave the home side a comfortable win over Greenway Utd despite being held 1 -1 at half time. Well done lads and enjoy the trip to Sligo tonight. The U12 Boys have been invited to be ball boys at the Showgrounds this Saturday as the Rovers take on Derry City in a massive game for them. Will all the boys who want to go on the trip bw at training this Tuesday 7pm to 8pm and make sure that they have their consent forms signed on the night. The U12 Boys also play a big match themselves this Saturday when they take on Greenway Utd at 2pm at Courthouse St. Busy day for them , sounds like their going to have fun. 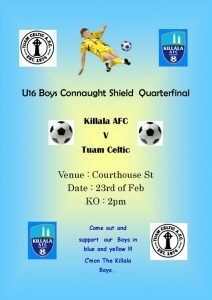 Killala play Galway Hibs in Rd 1 of the FAI U17 Cup at Courthouse St this Saturday at 2pm. All players to report for 1.30pm please. Congratulations to our under 16 boys squad on winning the league title. They needed a point from next Mondays game away to Snugboro to clinch it but were handed the league without kicking a ball yesterday when Urlaur Utd lost and now the lads can travel to Snugboro this Monday to pick up their prize.Well done to to Aidan and his dedicated squad , they are a credit to the club. Well done to our U12 girls team who qualified for the Connaught finals of the Wfai national girls 5 a side when they played in the Mayo area section at Milebush Park Castlebar, today. Cracker of an U14 boys game at Courthouse St. tonight as the two teams tied in second place went head to head. Killala took a 2 goal advantage into the half time break with goals from Cian Egan & Aaron O Boyle but Glenhest Rovers came back strong in the second half but could only manage a consolation goal in the last few minutes to make the score 2-1. Good win for the Killala boys and they keep the pressure on at the top. League leaders Killala played host to second place Urlaur Utd tonight at Courthouse St and tightened their grip at the top with a comprensive 6-2 win. it wasnt all plain sailing though and goals from Kyle McLoughlin & Nathan Browne had thier team all square 2-2 at the break in a tight competitive match. But the game became bad tempered in the second half which saw the visitors finish with seven players. Killala scored a further 4 through Kevin Healy (2) Anthony Kearney & Aaron O Boyle to remain top and set up a cracker away to Snugboro Utd next week where a win will crown them champions. 5-4 lead but back came the visitors again to go 6-5 ahead.Aaron grabbed another to level late on but Greenway looked to have snatched it when they nosed ahead 7-6 with 3 minutes remaining but Aaron leveled it again and in the last attack of the match Killala were awarded another Peno and Dom Sweeney finished as he started to make the final score 8-7. Heartbreak for the brave Greenway team but a great never say die attidude from the young Killala lads. Hatricks all round tonight at Courthouse St as Aaron O’Boyle and Fin Lacey grabbed 3 each and Alan Coultry bagged another as the U14 Boys had a great 7-1 win over Partry Athletic. Great team performance by all . 18th July U14 Boys home to Clew Bay Utd 7:00 pm KO. 30th June Mens Team home to Charlestown Athletic 7:00 pm KO. 24th June Mens Team home to Iorras Aontaithe 2:30 pm KO. Best of luck tonight and for the rest of the tournament to Trap , Marco (pictured above) and all our Boys in Green from all at Killala AFC. Upcoming Fixtures and Bus Times. 17th June Mens Team home to Ballyglass 2:30 pm KO. Good 2-1 win for the U17 Boys tonight in Bangor. Goals from James Noone and Cathal Scott keep them in the hunt at the top of the table. Well done boys. 10th June Mens Team away to Mullranny Utd 2:30 pm KO. Supporters last night were treated to a superb first half display by the Killala Boys as they knocked 5 past there opponents Straid & Foxford with the help of a brace of goals from both Ryan Sweeney and James Noone and one from Cathal Scott, the second half was a much more even affair as the away team pushed hard to get back into the match and were rewarded with 2 second half goals for there efforts but another killala strike from substitute Ciaran Lally ended any comback hopes for the visitors……Final score Killala 6-2 Straid & Foxford. Killala Team: Dermot Lavelle, David Lawlor, Shane McAndrew, Keith Higgins, John Flannely, Ryan Sweeney, Kevin Healy, Cathal Scott, Tiernan Egan, James Noone, Kyle McLouglin….Subs: Ciaran Lally, Conor Mooney, Brian Lawlor, Tom Dempsey, Nathan Browne, Peter Lynot, Anthony Kearney, Cian McHale. Congratulations to all our girls who played for Mayo in Clare today. Alison Munnelly , Collette Collins and Emma Munnelly all starred for the U14 team in the 2-1 win while Regan O’Boyle ,Aisling Bilbow, Natasha Bourke and Aisling O Hora helped Mayo U12 team record a comprehensive 8-2 victory. Congrats also to Aoilean Collins who was in Dublin with the Connaught U16 Team that finished runners up to Ulster. A great weekend for the Killala FC girls their coaches and parents. well done to all. Killala beat Hollister Fc 7-1 in Asahi Park on Tuesday night in their final warm up match of the pre season preparation. We wish Ricky & Ryano and the squad all the best for the new season. The League Premier B fixtures kick off at 6pm next Saturday 14th April with an away match to title favourites Moy Villa, pre season preparations continue this Tuesday at Asahi park with a match against Hollister FC at 6.30pm . All players to be at the pitch by 6pm please or contact the manager if unavailable. U17 Boys are away to Fahy Rovers in the league this Saturday at 2pm. The bus leaves the pitch at 12.15 pm. Pre Season preparations continue for the Mens team next Saturday when they travel to Bangor to play Bangor Hibs in a friendly at 6pm. Its Back! The U8 & U10 Acadamy for Boys & Girls resumes next Tuesday 6pm to 7pm its for boys & girls born 2003,04,.05 & 06 . 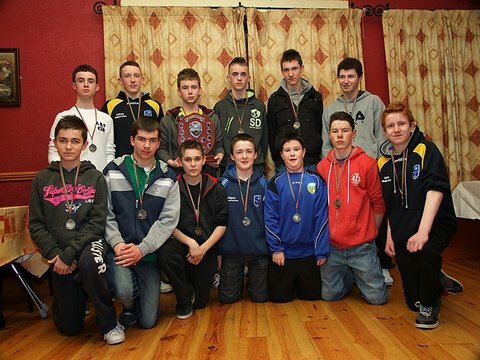 U12 Boys 2001 & 02 resumes on Tuesdays also 7pm to 8pm while the U14 Boys 1999 & 2000 starts Saturday 14th April 12 noon . Mens Team play Partry Athletic this Sunday at Home 1pm KO . Outstanding membership to be paid this Friday night at training . U17 Boys Kick off their league programme this Saturday away to Charlestown. Vincies Bus leaving the clubhouse at 12.45 sharp. Good luck lads. Killala FC will hold their registration day next Saturday 3rd March between 2 pm and 4pm. Its for boys & girls from U10 to U18. New players wishing to join please bring a birth cert. There was a large turnout for the Clubs Annual Awards night in the Wolfdog Tavern last night. Congratulations to all award winners on the night and a big well done to the organising committee for another well run night. Training for U17 Boys born in 1996,1997 & 1998 resumes this Monday at 7pm at Courthouse St. With the League starting on March 10th a full turnout is important. New players welcome..
With the 2012 season just around the corner Killala FC have named the successor to Junior Team manager Mark McLoughlin who stepped down at the end of last season. Former player and current youth team coach, Ricky Goldrick, has been handed the task for 2012 . He will be assisted by Brendan Ryan who is currently recovering from cruciate ligament surgery and will be out until the second half of the season. We wish them good luck. Two important dates in February are the AGM on the 4th February at 6pm in the Clubhouse and the Annual Presentation Night in The Wolf Dog Tavern on Saturday 25th February . The Mens team start back to serious training for the 2012 season this Sunday 22nd January at 1pm at Courthouse St. Everyone welcome.